This pile of organic material need a compost bin, pronto. But which one to use? After moving to a new city, I was successful in getting some semblance of a garden in the ground late last spring. It left a lot to be desired but the herbs, lettuce, and tomatoes were a definite success. Still, I have one important task to complete before I’ll arrive at some form wholeness as a gardener. That task is composting. 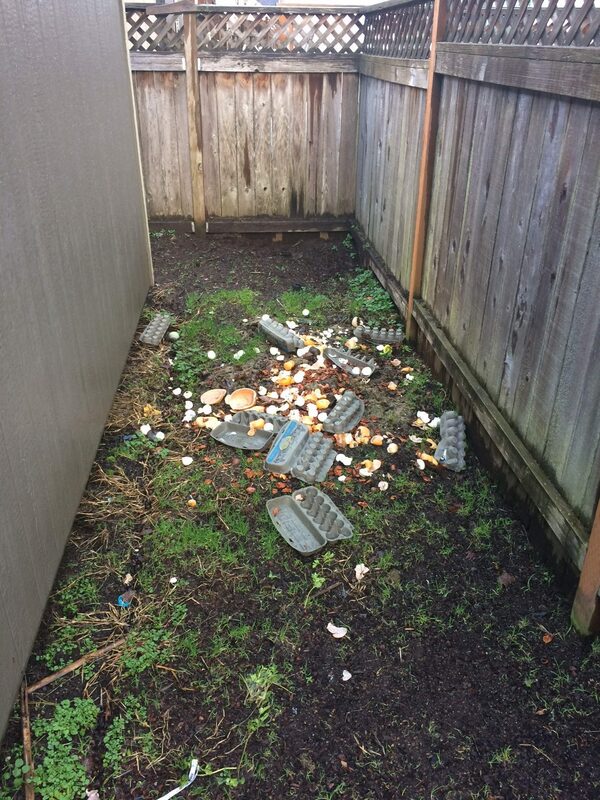 Composting is such a great way to both reduce the amount trash we send to the landfill and enrich our garden soil. Did I mention that it’s totally free? When I first started composting several years ago, I threw everything in rather exposed makeshift bins crafted out of wood and some old lattice I had laying around. I quickly realized that in addition to giving my dogs treats, I was feeding every rat (and their babies) in our entire neighborhood. Gross! I then upgraded slightly to an inexpensive plastic bin and that too was no match for my chocolate labs — or the rats. Then came the cool, spinning, two-bin unit from Costco and that performed admirably. But then I moved and the bins didn’t make the trip. So as you can see in the picture, I’m back at square one. I have a pile of organic material ready to go and really need to kick this composting into hyperdrive. I’m not sure which composting system to go with, however. Inexpensive and/or homemade would be nice, but I’d also like to avoid attracting rodents. Here are three composting systems I’m considering. I recently stumbled upon this article on worm composting by Emily Murphy of PassThePistil.com. This system consists of two tiers of plastic tubs with holes drilled in the bottom of the top one. Using red wiggler worms, Murphy gives great advice on the materials to add and how much to use. This system is both inexpensive and nicely contained, making it extremely appealing for my situation. Building a bin out of pallets has always been attractive to me. They have such a cool look and are readily available. After a bit of searching, I found a great plan from Bob Villa. This one is as simple as connecting three pallets together with L brackets and then the fourth with hinges for easy access. My favorite part about this one is the use of burlap fabric to create planter boxes around the top edge. While this isn’t totally enclosed, it sure looks cool. That might be enough to get me to see how bad the varmints are in my new location. The last composting system I’m considering is The Ultimate Compost Bin from Rodale’s Organic Life. This one has three compartments made of wood and is lined with chicken wire. It certainly fits the bill for being homemade but does use quite a bit of lumber, and therefore may not be as inexpensive. Also, for the space I’m in, I would considering reducing the size to two bins. Those are the three composting systems I’m considering and I need to act sooner than later. 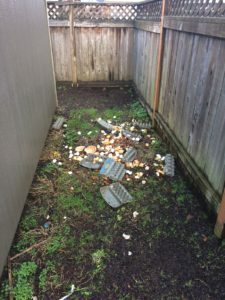 While it’s ok in the short term to have a pile of organic material in my side yard, it’s time to move forward and start seriously composting — especially so I can enrich my soil during the spring and summer months. If you have a favorite composting system, please share. I’ll be sure to update you once I get mine all set up.